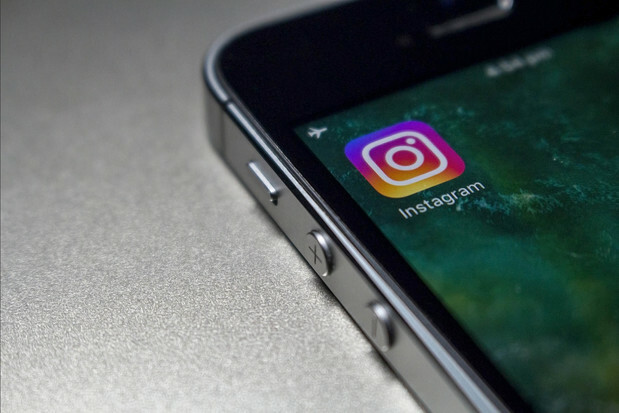 With 500 million monthly active users, there’s no doubt that Instagram offers an exciting opportunity for news organisations to engage with audiences in imaginative ways. But on a platform that is mostly used to follow friends and celebrities, how can publishers build an audience while encouraging users to explore their external content? 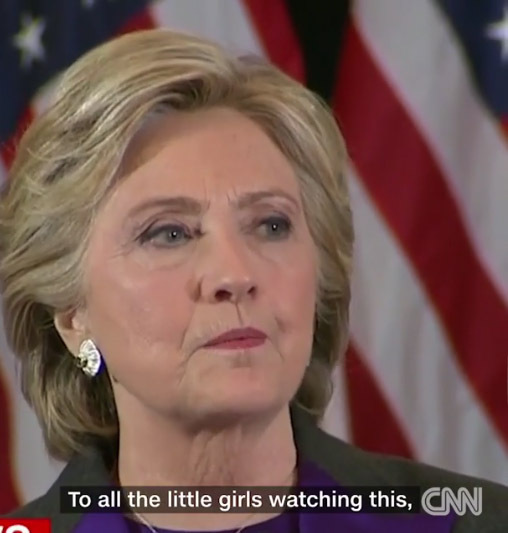 Journalism.co.uk spoke to Mic, CNN and Fusion to find out how they’re publishing video on the platform to boost their reach and engage audiences. Producing material for Instagram has been a very rewarding and creatively satisfying experience for Mic, as a millennial-focused publisher who prides itself on taking a very platform-specific approach to content creation, explained chief strategy officer Cory Haik. “Each platform has its own nuances and ways to tells stories, so we really embraced that when it came to Instagram – we had a 'eureka' moment that there was some real growth potential on both the moving pictures and video animation side that were untapped," she said. The publisher developed a 10-person emerging media team to focus specifically on Instagram, creating different video formats for Mic's accounts, ranging from animated picture slideshows to talking head interviews, yet all branded with a similar style, with colourful explainer text, subtitles, and eye-catching animations. 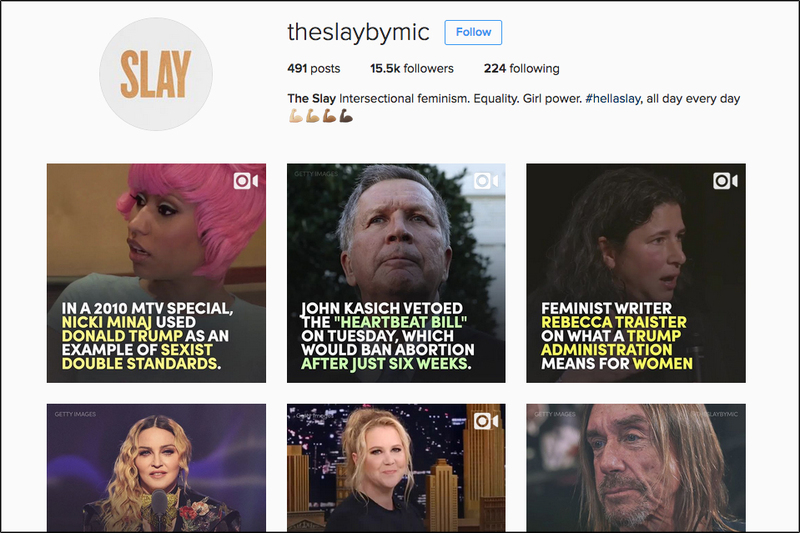 In addition to producing video for Mic's main account, @Mic, the team took a vertical approach to the platform, creating issue-based channels that target specific interest groups, such as feminism channel @TheSlayByMic, food channel @DeliveredByMic, and body-positivity channel @TheStrutByMic. She explained that Instagram users are accustomed to being able to follow niches outside of news channels, so the team spent a lot of time figuring out the micro-communities they wanted to hone in on to reflect the way the platform works to reach wider audiences. "These micro-communities are things that Mic cares a lot about – we’ve got a ton of traction and growth which is of course quite validating," Haik explains, noting their most video-forward channels average 30k views. Indeed, body-positivity channel @TheStrutByMic has seen a growth in views of 249 per cent in the last 90 days, with @TheSlayByMic growing by 762 per cent in the same period. "Our Instagram team run their own mini-newsroom that is connected to the larger team," said Haik. "Some output is connected to the main editorial content, but they also get their own original stories, and nothing is repurposed – it is all created specifically for Instagram. "It is a living, breathing platform with a specific audience. You don’t just pour your content onto it." 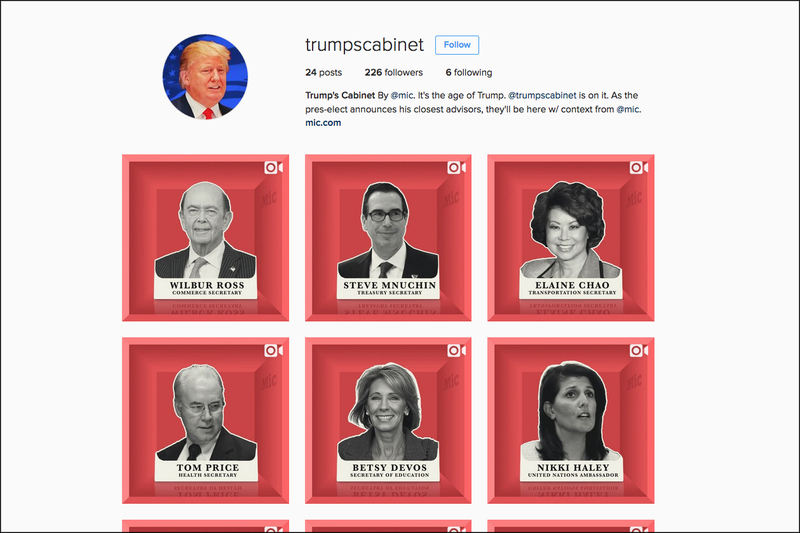 For example, the team created @TrumpsCabinet, a pop up Instagram account which posts a new video every time Donald Trump elects a cabinet member. "We actually wanted to do something interactive and in-depth on our site about this, but we thought to try it on Instagram and see what happens," Haik said. "There is no quota for videos per day on any of our accounts, we just listen to the rhythms of the audiences and the news cycle to make sure we are hitting both marks – we have an obsessive relationship with our commenters and followers as the team respond to every comment. "It is really important we are engaging with our audience because we want to understand the community and figure what’s next. Plus, once a publisher interacts with you personally, you feel very validated and loyal – we are getting lots of amazing feedback." As CNN specialises in breaking news, the publisher has taken a different approach to video on Instagram, explained Ashley Codianni, global director of social publishing, CNN Worldwide. "We are not putting news packages on Instagram, we are focusing on publishing raw video of telling moments and key speeches which are intense and hold their own story," she said, noting that they wanted to have the same high level of engagement with their videos on the platform as they do images. "The team has seen a lot of success in breaking news environments. For example, when we posted a video of a young Syrian boy who was sitting silently in the ambulance waiting for someone to help him – a stark reminder of the toll of war in Syria – many people told me the first time they had seen it was our Instagram account." The publisher posts video daily, anywhere from one to five videos depending on the news cycle, and without a dedicated Instagram team, all editorial staff working on social media pitch in to capture and post intense news moments. Unlike Mic, videos do not usually have text on them unless they are accompanying an interview, as the team believe the footage should speak for itself. "In terms of our strategy, the more video we can put on the platform the better, as long as it is intense, timely, and tells the story," she said. 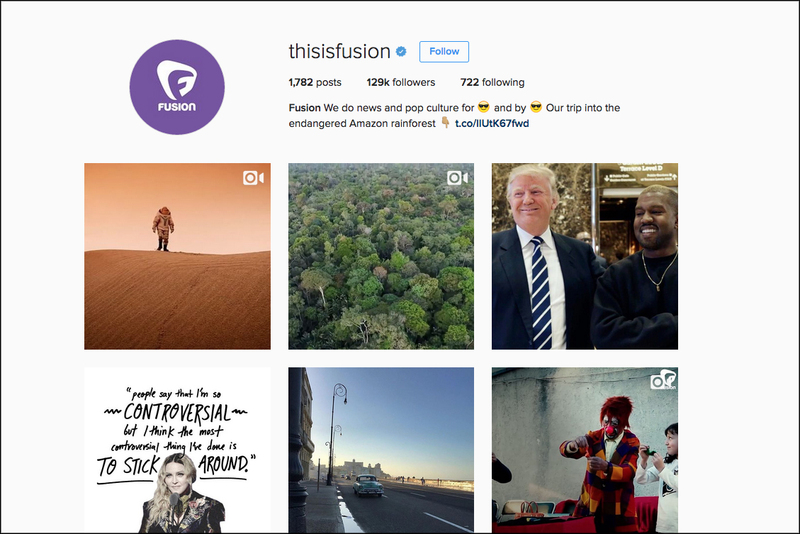 "From the beginning of Fusion, it has been a balancing act between TV and digital, and our strategy with Instagram was to make sure we don’t look like we are just cutting and editing television and putting it on Instagram," explained Elisa Rodríguez-Vila, who designs and produces the content on Fusion's Instagram account. "Platform-specific, native videos do the best." The publisher began using the platform two years ago, only using iPhone to film and edit videos, ranging from stop motion footage to talking-head interviews, Rodríguez-Vila explained, but now they have started to use advanced editing software, publishing a maximum of three posts a day. "I think publishers on Instagram should stay away from that model of text on video – in my view, it is not as aesthetically pleasing," she said. "It may work for Facebook but Instagram was created as a platform for creatives as a place to experiment and express themselves – it shouldn't look like the same material we put out on the TV." Fusion has found shorter videos tend to do better on the platform, rather than the extended minute that Instagram now allows users to post. "The sweet spot for us is less than 30 seconds, with 15 seconds being the best time," she said. "We don't add logos and will not post unless we have original images that are beautiful, no stock images." She explained that news organisations are "visitors in another realm" on Instagram, still experimenting with how to best perform on the platform. "Instagram isn't really meant for posting news like you would on Twitter and Facebook, which lends itself a lot better to breaking news cycle," she said. "It is a place for Fusion to show who we are and what we represent – most people follow friends or celebrities, and are stingy with the news brands they follow, so I want to respect that follow and don’t want to spam or mess with that relationship."